This semester, I have been fortunate enough to intern with an outstanding company. At Cohlmia Marketing, the staff is very helpful, understanding, and allowed me to grow as an individual interested in marketing. This was only made possible by my participation in a unique internship program at Andale High School, which has allowed me to learn many things about marketing and also gain hands-on experience. This opportunity has been a blessing to me because I understand the rarity of programs like the one Andale High School and Cohlmia Marketing have offered me. This class allows select students to intern at a business, or two, for the first two hours of the school day, three days a week. This allows us, students, to grasp the concept of what actually happens in the workforce. It also allows me to grow in a deeper understanding of what marketing actually means, so in the future I can make an educated career decision. The experience I have gained from interning at Cohlmia has been priceless to me. I learned so much about marketing and what a person in the marketing field actually does on a daily basis. For example, I learned there are two different sides to marketing, design and analytics. Both are necessary to the marketing process in its own unique way. Since, I have an interest more towards analytics marketing, I was able to learn, how to obtain data from marketing tools to create an analytics report for a company. This is an opportunity I would have missed out on if this program was not available. 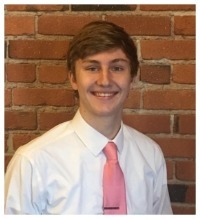 The opportunity to intern at Cohlmia Marketing has been very beneficial to me in allowing me to learn about the types of marketing and decide which one I enjoy. It has also given me hours of incredible important experiences. For all of the experiences learned and gained this semester, I would like to express my deepest gratitude to the outstanding staff at Cohlmia Marketing.